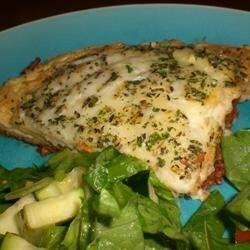 "A no pasta lasagna recipe that is extremely easy to fix! Baking mix is used in place of pasta for a very rich in flavor meal. Just throw in a salad and you're done! Makes a fast dinner even the kids can put together!" Crumble the ground beef into a large skillet over medium-high heat. Cook and stir until no longer pink. Drain and stir in the tomato paste, salt, and Italian seasoning. Set aside a little bit of the mozzarella and Parmesan cheeses for the top; stir the rest into the ground beef. Set aside. Spread cottage cheese into the bottom of a 9 inch pie plate. Spoon the ground beef mixture over the cheese. In a small bowl, stir together the milk and eggs. Blend in the biscuit mix until smooth. Pour over the top of the pie, covering completely. Bake in the preheated oven until top is browned, about 30 minutes. Remove from the oven and sprinkle the reserved cheese over the top. See how to make a meaty lasagna in the slow cooker. This was pretty good. Next time I will double or triple the amount of italian seasoning.